I got some lovely post yesterday. It arrived with things I didn't have to pay for, which is always nice, but the things that came were also very lovely. The first thing I got was from Nadia at Abso-Knitting-Lutely. 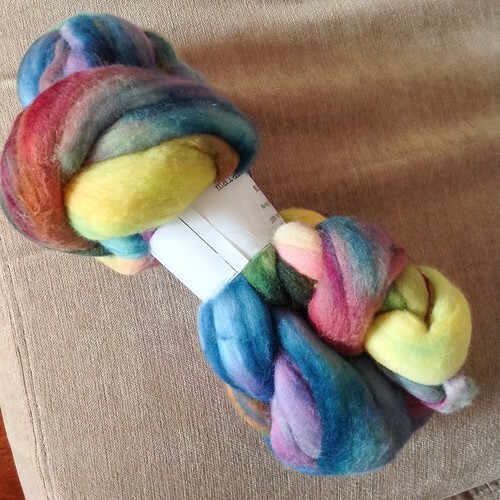 She had a give away for a braid of Malabrigo Nube in the Arco Iris colourway - and I won! I was really happy about this because when Nube first came out I bought two braids in the - yes you've guessed it - Arco Iris colourway! So I have this braid to add to my two existing ones. I should be able to spin a decent yardage. 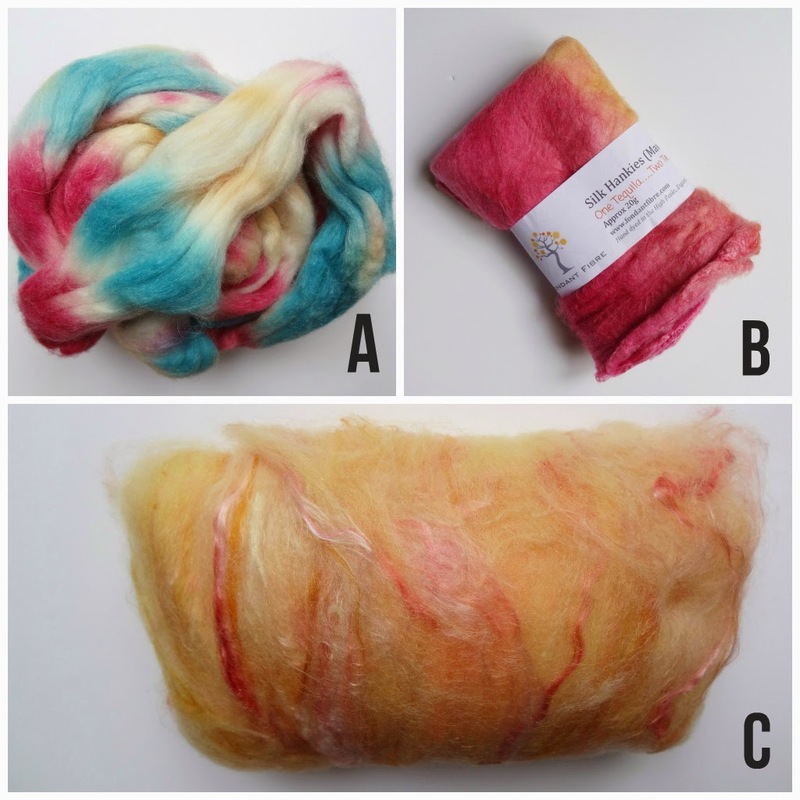 The second photo is probably more accurate, but they are still different dye lots, so I shall have to be careful. 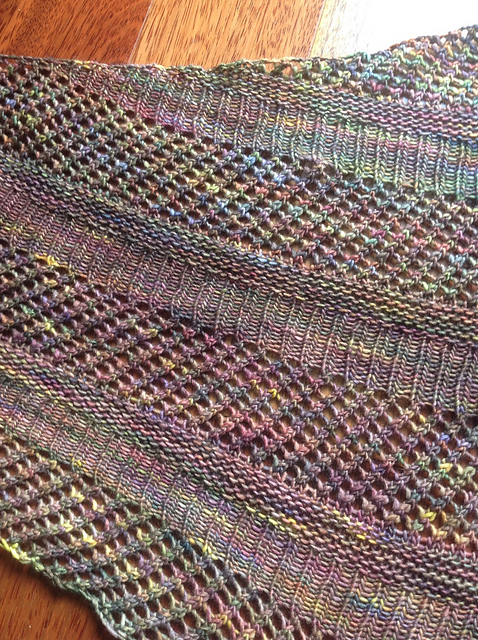 I bought this colour because I made a Brickless in Malabrigo Rastita in this colourway. The yarn is a DK weight singles yarn in the same merino as the Nube. I bought the fibre intending to make a hat and mitts to match the shawl, but now I have three braids I'm beginning to re-think what I should make. I don't know whether to stick to my intention of trying to spin my first singles yarn, or whether to try something different. Any ideas of how to spin this gorgeous fibre are very gratefully received. The second parcel I received was a complete surprise, as I wasn't told it was coming. It gave me quite a giggle. For those who don't listen to my podcast, you are probably unaware that I recently decided to try doing a video version to try and cut down on the amount of time it took to edit and prepare. It worked out really well and I subsequently did another, and will probably continue in this format. If you are interested, it is available on YouTube, iTunes and on the website under the Podcast button at the top of the page. 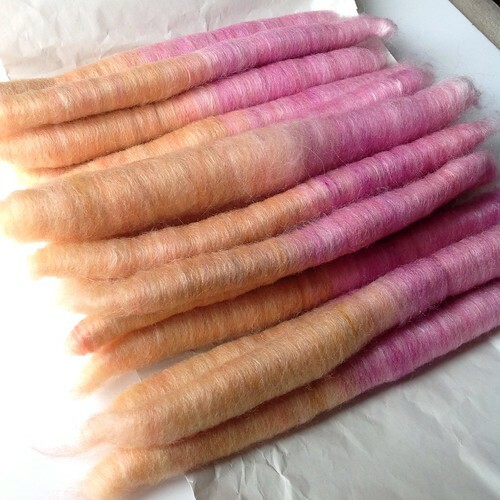 Anyway, in the first episode I shared some fibre that I bought from Fondant Fibre. When I shared these purchases with the podcast I said that none of these colourways are typical of my choices and that often Deb creates colours that I usually hate but absolutely adore in the way she does them. So you can almost guess my reaction when I opened my package and saw the colourway label before unwrapping the contents. The name was Not Chrissy's Colours. I laughed out loud before I cooed over the contents. They are made up of my favourite Polwarth, Falkland, Silk and Bamboo. Aren't they pretty and really NOT my colours! I started straight away. Sorry for the poor quality photo, it was an Instagram snap last night. By the way if you are on Instagram, come and follow me so I can follow you back, as I am addicted to this form of social media. 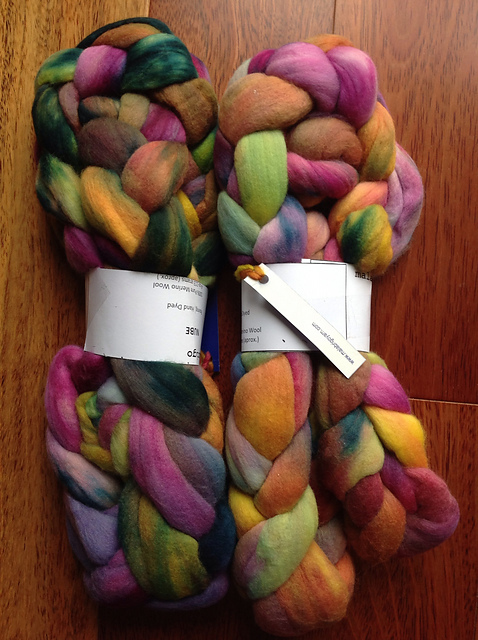 Spinning long draw from Deb's punis is always such a dream. 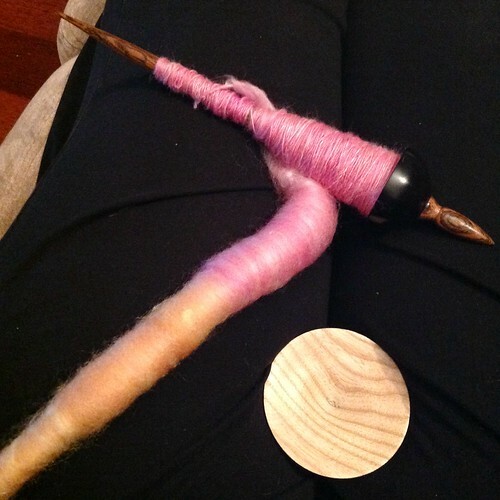 It's so easy to draft these punis and once again I cannot say enough good things about the preparation and how easy and pleasurable it is to spin them. I am spinning without plan for the pure pleasure of it, as my other two spinning projects require a little more thought and control. I can't decide yet whether the laugh, or the pleasure from spinning, I got I made me happier. Maybe it was a wonderful combination of the two! I do love it when the postman brings parcels!